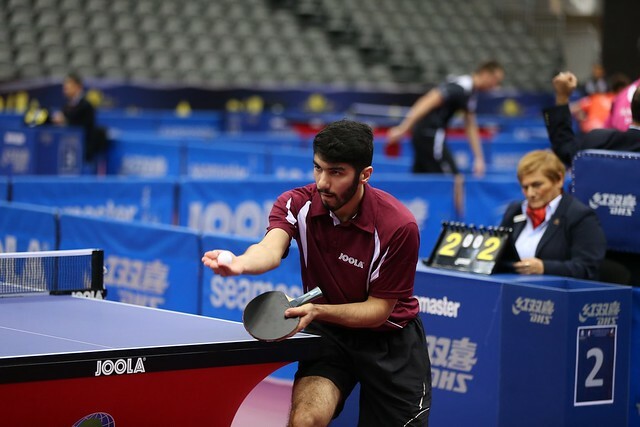 Wednesday 22nd February will see the first champions being crowned at the Seamaster 2017 ITTF World Tour Qatar Open in Doha with both the Under 21 Men’s and Women’s Singles events set to come to a conclusion, while qualifying matches for the Men’s and Women’s Singles competitions are also set to recommence. Following the exit of the top two seeds Ho Kwan Kit and Tomokazu Harimoto, the highest ranked player remaining in the Under 21 Men’s Singles draw is the no.3 seed Cho Seungmin of Korea Republic. Holding off a valiant effort made by Japan’s Mizuki Oikawa in the last eight, Cho Seungmin moves into the semi-finals of the tournament where he will meet Croatia’s Tomislav Pucar for a chance to reach the final. France’s Andrea Landrieu produced one of the shocks of the quarter-finals when he eliminated Park Ganghyeon in a five game thriller (3-11, 11-8, 11-9, 9-11, 11-7), and his reward is a fixture with Chinese Taipei’s Lam Siu Hang in the lower half of the semi-final draw. Players from two countries will have the chance to progress to the final of the Under 21 Women’s Singles competition with Hong Kong’s Soo Wai Yam Minnie and Doo Hoi Kem, and Japan’s Kyoka Kato and Saki Shibata having booked their places in the penultimate round of the event. Soo Wai Yam Minnie registered a confidence boosting victory over the third seed Choi Hyojoo in the last eight (10-12, 11-6, 11-6, 11-4), while Doo Hoi Kem stormed to a straight games triumph over Miyu Maeda at the same stage of the draw. Next up for Soo Wai Yam Minnie and Doo Hoi Kem are respective semi-final encounters against the two remaining Japanese contestants Kyoka Kato and Saki Shibata. Qualification matches for the Men’s and Women’s Singles categories will also go ahead on Wednesday 22nd February, as the battle for main draw places begins to hot up. There were several high-profile shocks on qualifying day one with Yuto Muramatsu, Tang Peng and Andrej Gacina all suffering defeats in their opening encounters and the battle to progress to the main draw will continue on the second day of qualification with potentially more surprises set to unfold. Li Jie, Georgina Pota and Sakura Mori are just some of the big name competitors set to begin their qualifying journey in Doha as the top ranked players in the Women’s Singles qualifying group stage prepare to take to the table. Attempting to join the top 16 seeded players in the main draw Li Jie of the Netherlands, who was recently crowned Women’s Singles champion at the 2017 ITTF Europe Top 16 Cup, will face Mizuki Morizono and Szandra Pergel in Group 2, while Hungarian representative Georgina Pota enters Group 11 where she will go head-to-head with Soo Wai Yam Minnie and Lin Po-Hsuan. Japan’s Sakura Mori excelled at the Seamaster 2017 ITTF World Tour India Open leaving New Delhi with both the Women’s Singles and Under 21 Women’s Singles trophies, and will be hoping to safely negotiate her Group 14 ties against Ng Wing Nam and Cho Hala in Doha.